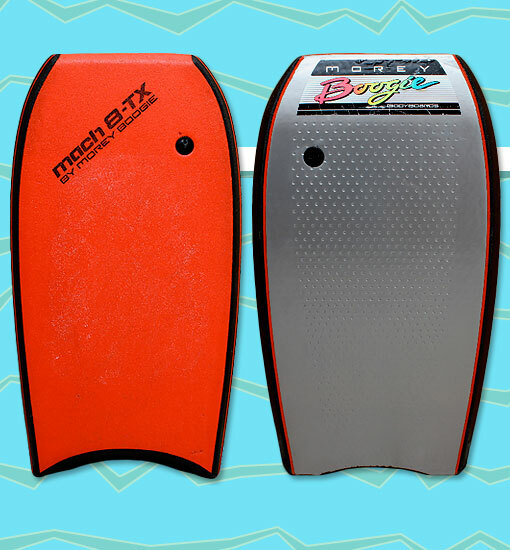 The Mach 8-TX was a legendary board due to its very concept. The idea was that the dimpled bottom would trap air underneath the board, allowing the board to glide over tiny air bubbles to create more speed. Whether it actually worked or not is a mystery, but some people insist that it was an undoubtedly fast board. The second generation of Mach 8-TX came with a red deck, and the dimples were restricted to a rectangle in the center of the board instead of stretching to the rails. This was reportedly due to problems with the lamination process. Photo: Shane Griffiths.